I, probably just like you, am on my phone about 75% of the day. It’s an addiction and I just can’t stop. 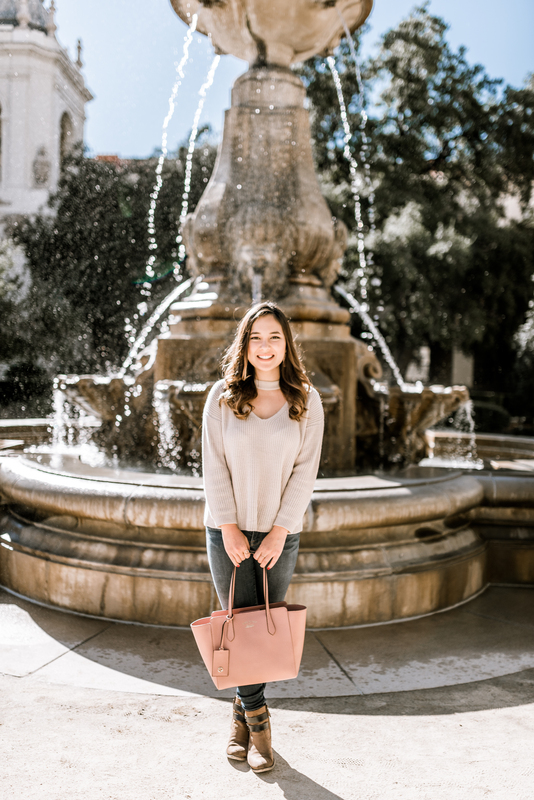 Besides all of the normal favorites like Snapchat, Instagram and Twitter (@esthercollins, follow me if you’re not already!) here are my top 5 apps. How did I ever live without Postmates? 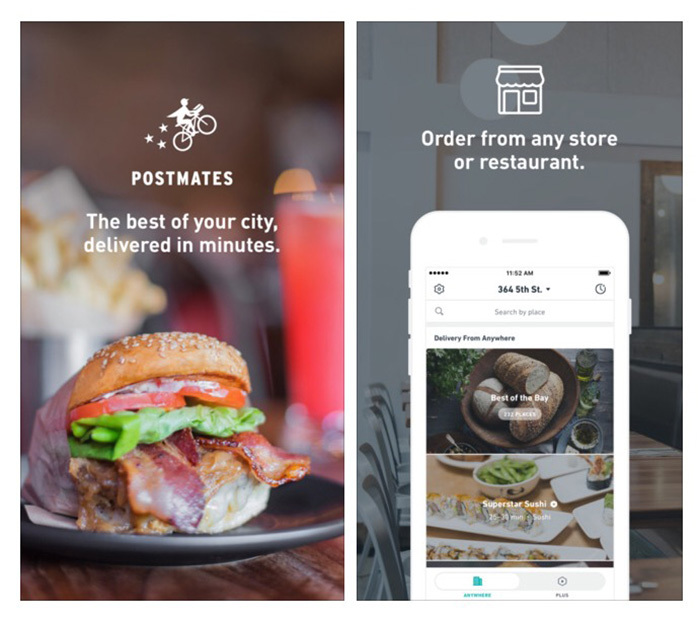 Postmates is a food delivery service where you can get pretty much any food from any restaurant in your city delivered to you. It’s great for those lazy days where you’re just craving some of your favorite food. My go-to spots to Postmate are Sugarfish, Kreation and Smoke’s Poutinerie. So good! Another food app. Open Table is great for making dinner reservations. I hate calling restaurants to make reservations. It’s the millennial in me. With Open Table I can just make a dinner reservation with the tap of a button. 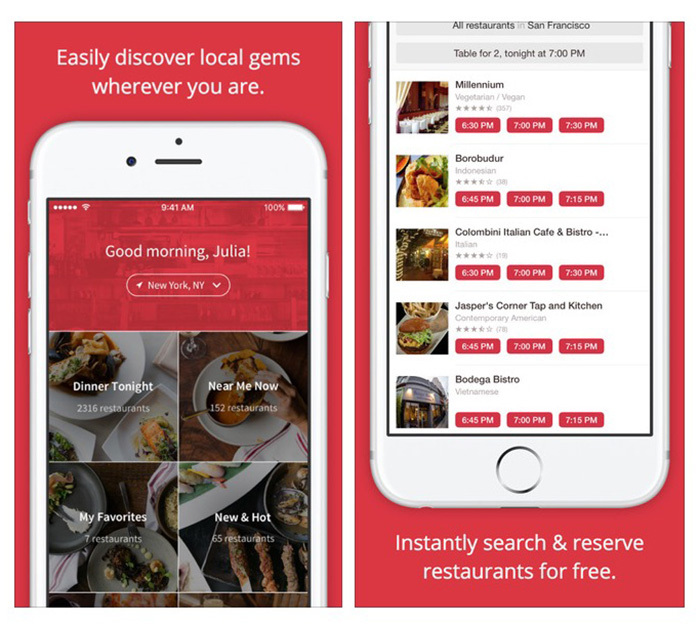 Open Table is also great because every time you use the app, you receive points which can later be redeemed for gift cards at your favorite restaurant. My roommate Brigitte turned me onto Hopper. 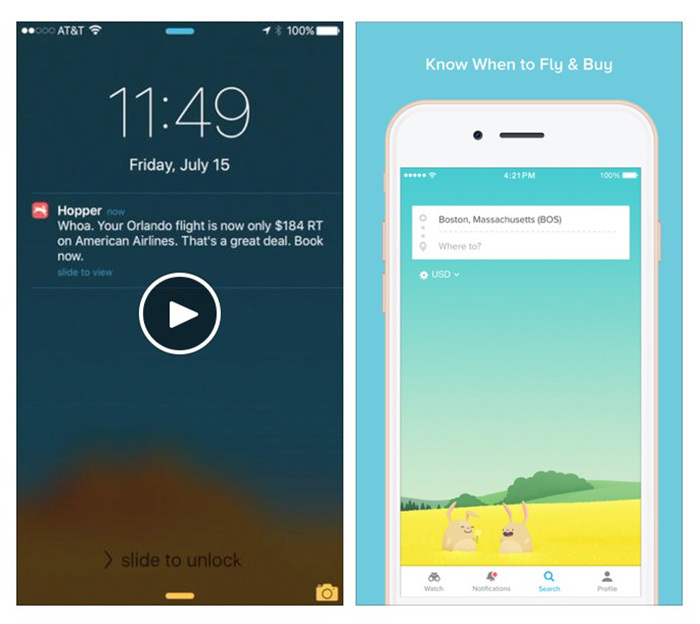 It’s an app on your phone that lets you put in flight information to see when is the best time to book. For instance, I’m planning on flying home for Christmas, so I put in the dates I want and the airports and I get notifications each time the flight price drops. It will also give you advice on whether or not you should book it now or if they think the price will drop further. This is for all you ladies out there. 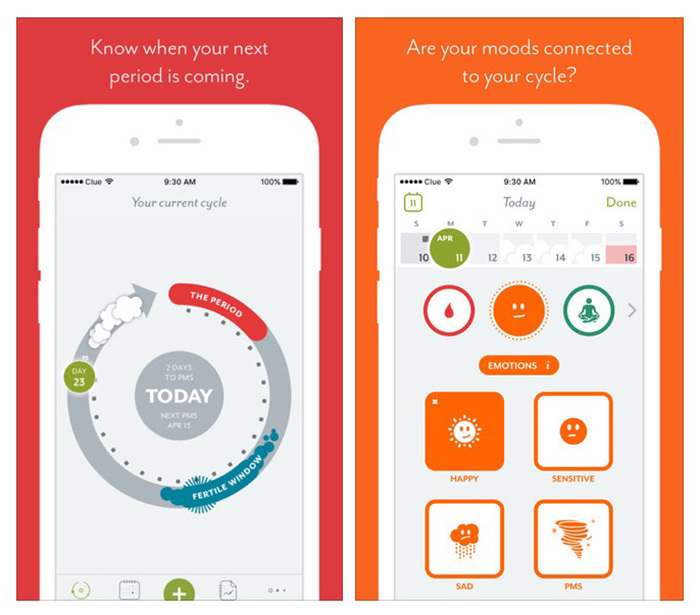 Clue is a period tracker. It’s great for predicting when you’re going to get your period. I used it to figure out when I should go to Hawaii, because nothing is worse than being on your period during vacation. You can also update the app daily with your mood, cravings, etc. and it will start predicting how you will feel. 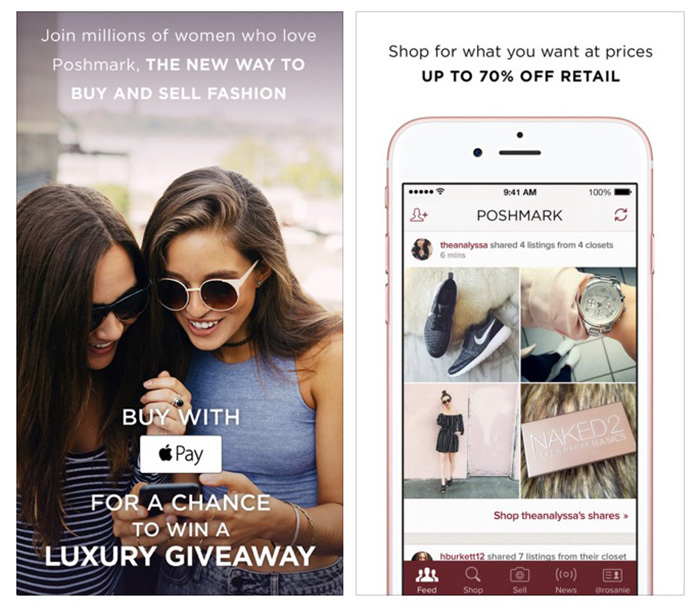 Poshmark is an app that lets you sell clothes, makeup, accessories etc. It’s so easy to use. I use it both for selling as well as purchasing. You can find some really great deals on this app. For instance, I just got a brand new Blue Life romper for $25. Crazy! The great thing about this app is you can send the buyer an offer on what you want to pay for an item. It’s a great bargaining tool to get the price you want to pay. Check out my closet @esthercollins! What are some of your favorite apps? Let me know in the comments below!